Statistics Canada said Filipinos in Canada sent $1.2 billion in remittances to relatives and friends living in the Philippines. 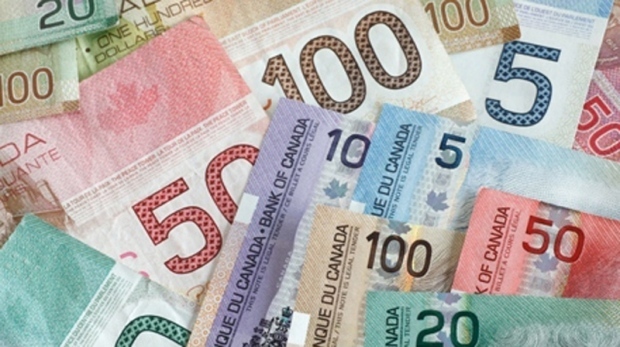 Sponsored by Global Affairs Canada, Statistics Canada’s Study on International Money Transfers (SMIT) looked at international money transfers from Canada in 2017. The study’s 23,000 respondents comprised of Canadian residents born in Official Development Assistance (ODA)-eligible countries, or low and middle income countries as published by the World Bank. Statistics Canada asked participants about who they were sending money to, where the recipients live, how much money they send them, and why they transferred the funds. The agency found that Filipino residents in Canada made more international remittances than any other group included in the study. In 2017, Filipinos sent $1.2 billion in remittances to relatives and friends living in the Philippines. According to the researchers, the large amount of money being sent to the Philippines can be explained, at least in part, to cultural differences. “The government actively promotes the training and the deployment of young adults to work abroad and send back remittances – especially women in the case of the Philippines,” the study said. Another reason, according to the researchers, is the high number of Filipinos moving to Canada. Statistics Canada said Filipino women made up a very large proportion of immigrants admitted to Canada under the live-in care program in 2017. The 2016 census found the Philippines to be a top source of immigrants to Canada with Filipino-Canadians represented as the fourth largest visible minority in the country. India received the second-highest amount of money transfers from residents in Canada with $794 million sent in 2017. That was followed by the United States with $390 million; China receiving $292 million; and Pakistan with $236 million. In total, the study found that Canadian residents born in ODA-eligible countries remitted $5.2 billion in 2017 with men sending $2.9 billion abroad and women transferring $2.3 billion that year. On average, remitters sent $2,855 yearly to their friends and families with men sending $780 more than women each year. However, women who were born in Southeast Asia and Oceania tended to give more on average than men from those regions. The researchers noted, too, that the average amount Canadian residents sent home depended on their birth region. Although a smaller proportion of remitters born in Eastern Asia sent money home, those who did sent higher amounts than those in Southern Asia, where most people in Canada who transferred money were born. As for why Canadian residents sent money to relatives or friends abroad that year, Statistics Canada said the majority of the remittances were to help pay for living and medical expenses. According to the data, 59 per cent of remitters said they sent funds to pay for others’ food, housing, utilities, electricity and heat while 43 per cent of respondents said the money was for medical costs. Approximately 35 per cent of residents said they sent money as a gift – a more frequent occurrence among those from high-income countries. Statistics Canada said they conducted the study as part of an effort to reduce the cost of sending money abroad as per the Sustainable Development Goals set by the United Nations. As part of the goal, developed countries have committed to reducing transaction costs of migrant remittances to less than 3 per cent of the total amount. While being an important source of external funding for many developing countries, international money transfers can incur high transaction fees. On average, transaction fees represented 6 per cent of the total amount they last sent in 2017. However, the fee varied by how the money was transferred with those using in-person banking paying higher fees than those who sent a similar amount of money using an online money transfer store. This story has been corrected to show that men sent $2.9 billion abroad. An earlier version of the story said $2.9 million.